show me from your equations that time slows down in a gravitational field or that em wave redshifts in that field. Both contradict each other , don't they? Lol good attempt word salad. If gravity causes redshift, then the pound rebka expt was wrong, which found gravity causes blue shift. so which of the 2 expts is correct? I'll prepare something and post later on this morning. As far as redshift is concerned, however, I think it depends on the position of the observer - but as I said, I'll put something together and post later on today. I'm not an expert like Arbitrageur or Eros, but I like to pull stuff apart and study it - so let's do it. I see no reason why Phantom has to do so... you have thus far provided zero calculations and zero evidence to back up any of your clames for the entirety of your membership and the 4 other previously banned ones either.... so.... gonna start demanding we do your work? Sorry but no because let me predict something in my General Theory of Hyperboles. "Any statement made by users who disagree with Hyperboles will be met with being called stupid, dodging or idiots." Evidence needed? Well, you have 764 posts at the time of writing, i think you just need to look at about 600-700 of them to get all the evidence required. SOoooo gonna provide some math for us? or going to do the usual thing and call us all idiots? Lol, is that the best you can come up with? So you don't get the throwing the apple analogy? Throw an apple up, and kinetic energy is converted to gravitational potential energy, it slows down. Throw an apple down, and gravitational potential energy is converted to kinetic energy, it speeds up. So your question in the analogy is: "if I throw an apple, does it speed up or does it slow down? I'm confused because in one experiment it speeds up, and in another experiment it slows down". 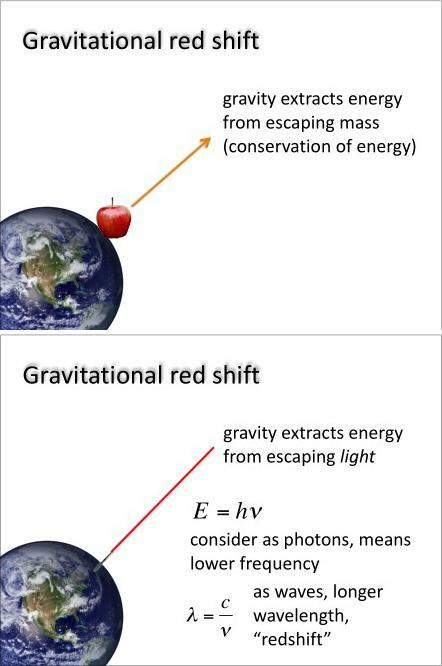 It's really not that confusing why an apple (or light) gains or loses energy (converted from or to gravitational potential energy), so you're either very easily confused or just pretending to be confused to push your anti-relativity rhetoric.